When it comes to restoring a historical building or a heritage site, there is a long and careful process to follow in which one wrong move can mean disaster. Choosing the right technique for the building’s restoration is dependent on its historical significance, proposed use, physical condition and the overall budget the project. Whether you are restoring a listed stately home or an opulent cathedral, both projects would require a similar attention to detail with assessments undertaken by experts in heritage building restoration to determine which technique is suitable for a specific repair site. There are hundreds of these buildings considered to be of great importance across the UK. When determining the right technique for restoring a heritage building, it is advisable to seek expert advice for starting physical work as mistakes can be extremely costly. The following techniques are the most commonly used around the world to beautifully restore old structures without compromising their integrity and original design. The main purpose of repairs is to ensure that the original architectural elements of the building are preserved, as is. This is usually used when the building is still in continued use. Repairs and other further improvements include: patching up defects in concrete walls and floors, repairing doors and windows, replace glass panes, checking and replacing electrical wires, re-arranging any disturbed floor or roof tiles, painting, redecorating, plastering, and so on and so forth. This is drastically different from just repairs. It entails a complete restitution of the strength of the architectural structure before the damage occurred. 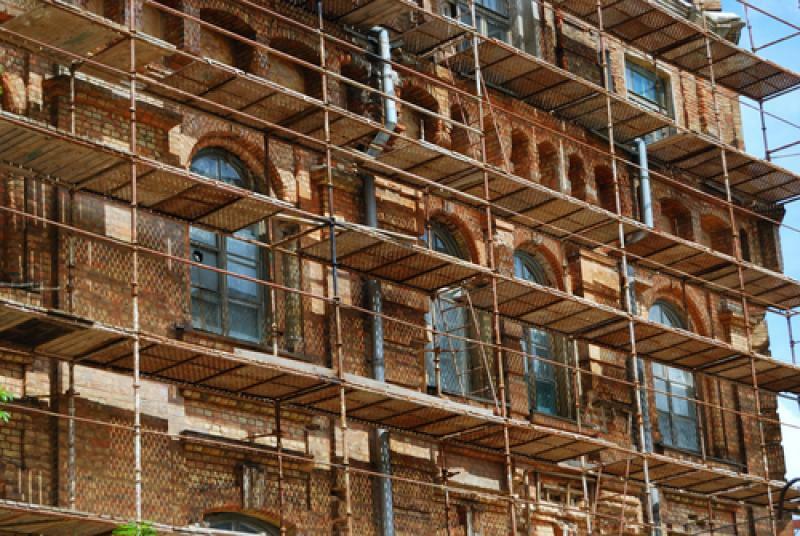 Restoration will usually be the main course of action if a building has deteriorated beyond building regulations, and needs to be restored to its former glory. Structural repairs on load bearing elements such as pillars and arches are undertaken first, followed by work to support these, restoring the building’s original strength. A number of different strengthening methods can be used here to ensure no further structural issues down the line. Most historical structures are affected by seismic activity, material degradation and structural inadequacies at the time of construction and incur countless alterations and repair work over the years, which can distort the original symmetry and elevation of the building plan. The objective of preservation is to ensure that the building is safeguarded from any additional earthquakes or other natural disasters which may cause additional damage to the structure. This preservation technique focuses on the retention of the original form of any historical structure while rehabilitating it to withstand the changing times. Preservation will strengthen a structure, allowing it to stand tall and strong. For more information about the work that we do here at Concrete Renovations, please do browse our site or contact us to discuss your project.